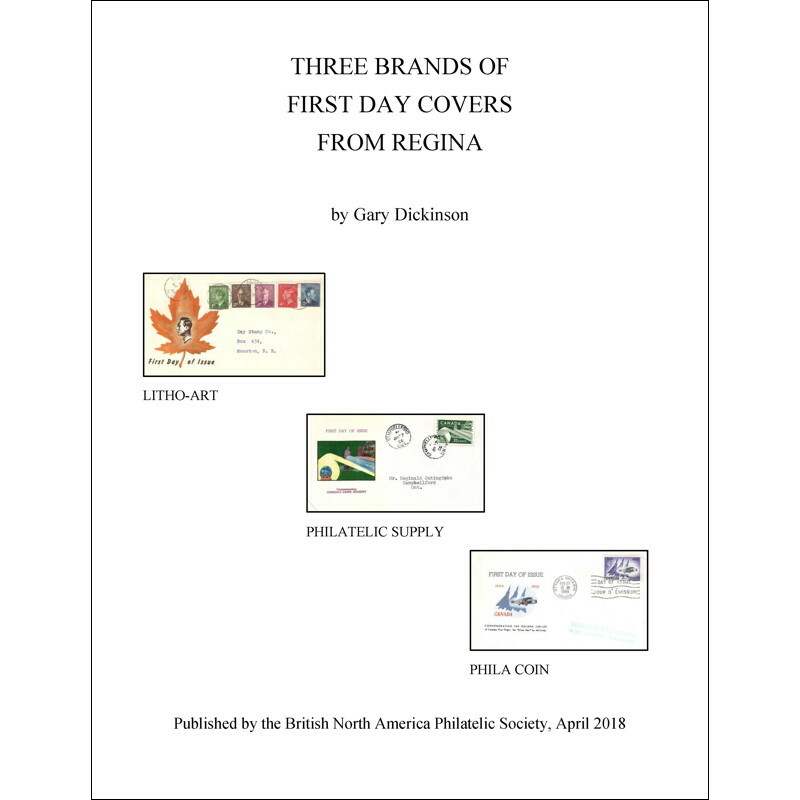 Three Brands of First Day Covers from Regina by Gary Dickinson. The story of a First Day Cover "mystery" solved through the cooperation of members of the BNAPS First Day Cover Study Group. 2018, Spiral bound, 50 pages, 8.5 × 11, colour. ISBN: 978-1-927119-94-5. Stock #B4h096-1. 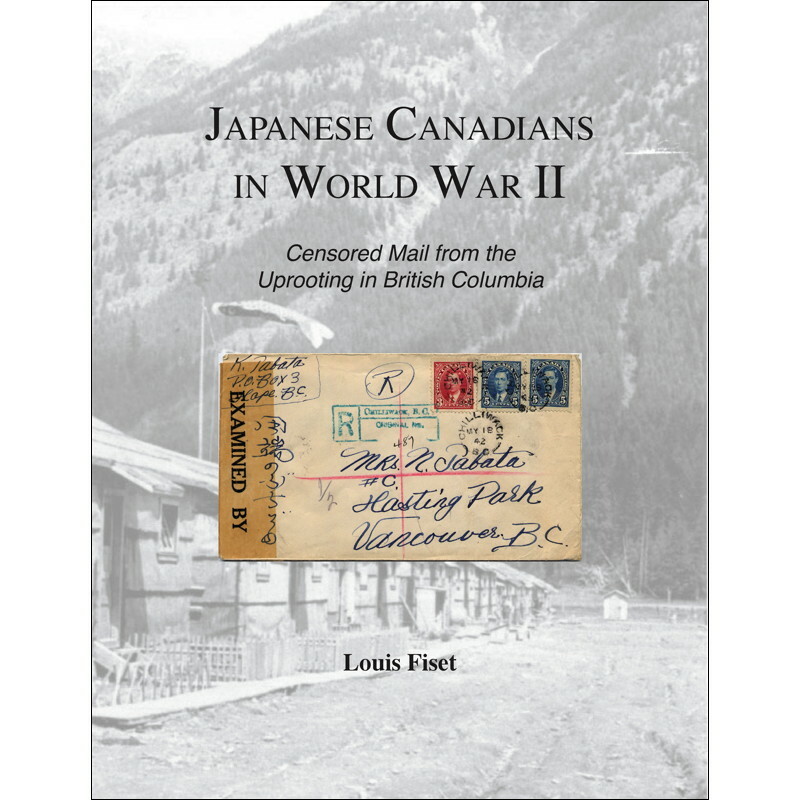 Japanese Canadians in World War II - Censored Mail from the Uprooting in British Columbia, by Louis Fiset. Canadian postal history used in a unique way to illustrate the sad story of the internment of Canadians of Japanese origin. 2018, Spiral bound, 154 pages, 8.5 × 11, colour. ISBN: 978-1-927119-95-2. Stock #B4h097-1. 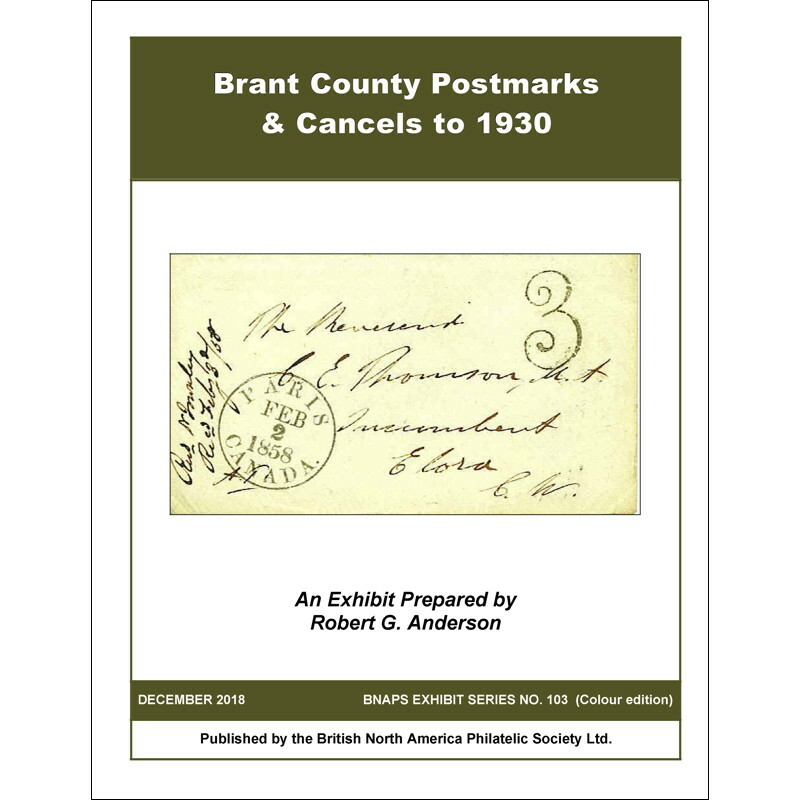 Brant County Postmarks and Cancels to 1930, by Robert G Anderson. The postmarks of Brant County organized by type of postmark. 2018, Spiral bound, 136 pages, 8.5 × 11, colour. ISBN: 978-1-927119-97-6. BNAPS Exhibit Series No. 103. Stock #B4h923-103-1. 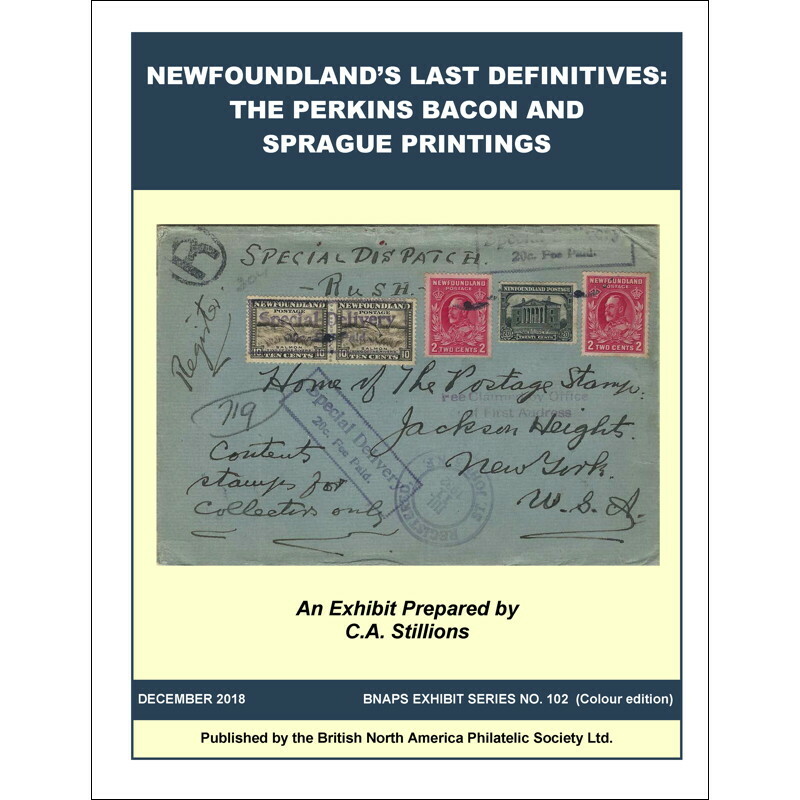 Newfoundland's Last Definitives: The Perkins Bacon and Sprague Printings, CA Stillions. The first of two exhibits on Newfoundland's long running "Industries" issue, which was produced by three different printers. 2018, Spiral bound, 126 pages, 8.5 × 11, colour. ISBN: 978-1-927119-96-9. BNAPS Exhibit Series No. 102. Stock #B4h923-102-1. 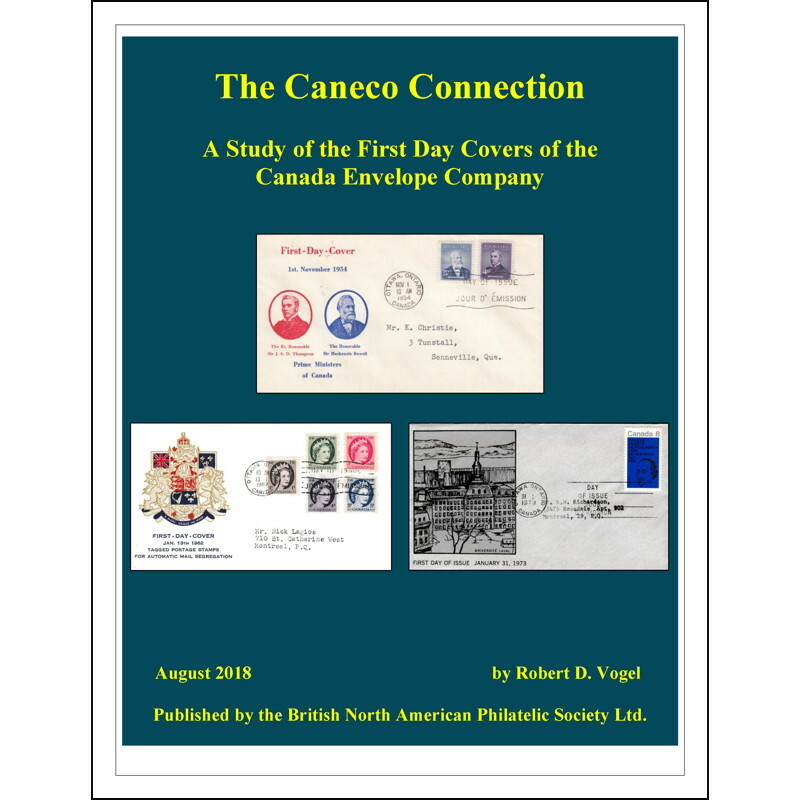 The Caneco Connection - A Study of the First Day Covers of the Canada Envelope Company; Robert D. Vogel. For more than 20 years a Canadian envelope manufacturer used its own products to celebrate Canada by sending beautifully cacheted First Day Covers complimentary to its customers and friends. 2018, Spiral bound, 326 pages, 8.5 × 11, colour. ISBN: 978-1-927119-92-1. Stock # B4h095-1. 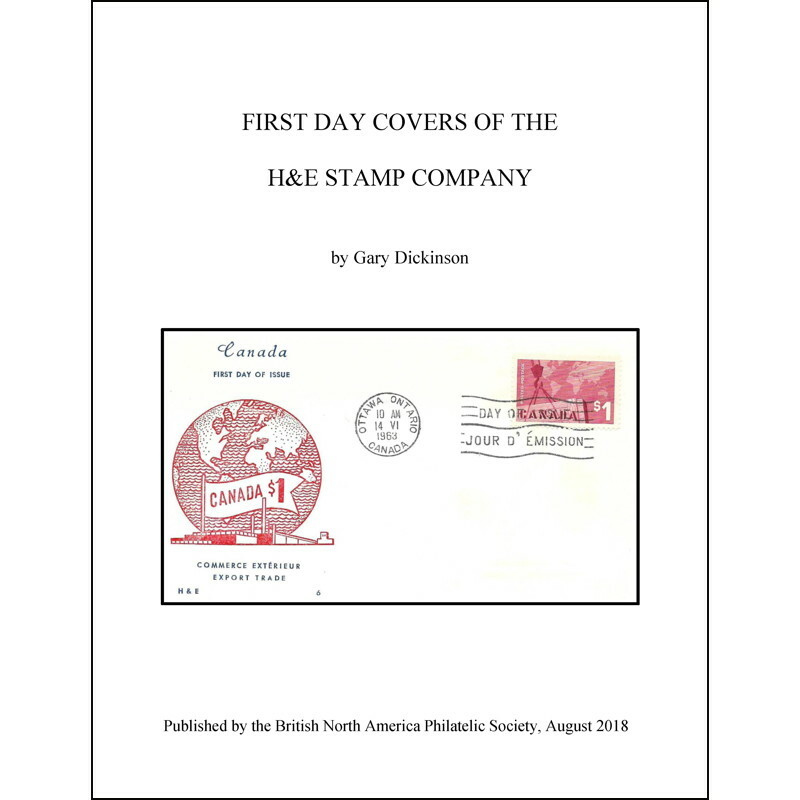 First Day Covers of the H&E Stamp Company; Gary Dickinson. A definitive study of the more than 300 First Day Cover cachets produced between 1954 and 1978 by two men operating from a basement print shop. 2018, Spiral bound, 86 pages, 8.5 × 11, colour. ISBN: 978-1-927119-91-4. Stock # B4h094-1.